Supplementary material reads: "Photographer: Swaim. Date: 1959-01-07. Reporter: Swaim. Assignment: Car in post office. 31: Larry Matson, 15, looking into Altadena post office thru hole made by runaway auto. 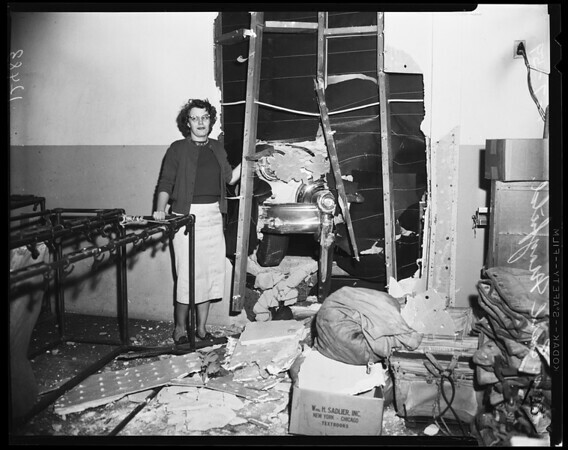 9,20: Mrs. Earl Mayfield, postal clerk, who was working closest to wall (10 feet) when car crashed thru wall as brakes failed."